Get ready for the second year of the Knight Green Line Challenge! The Knight Green Line Challenge is a community-wide contest that seeks ideas to tap into the potential of the Green Line to make surrounding neighborhoods more vibrant places to live and work. Knight Foundation is investing $1.5 million over three years in projects from innovators who aim to build a more successful Saint Paul. Last year, 16 winners shared slightly more than $500,000. There’s a pool of $500,000 available this year. 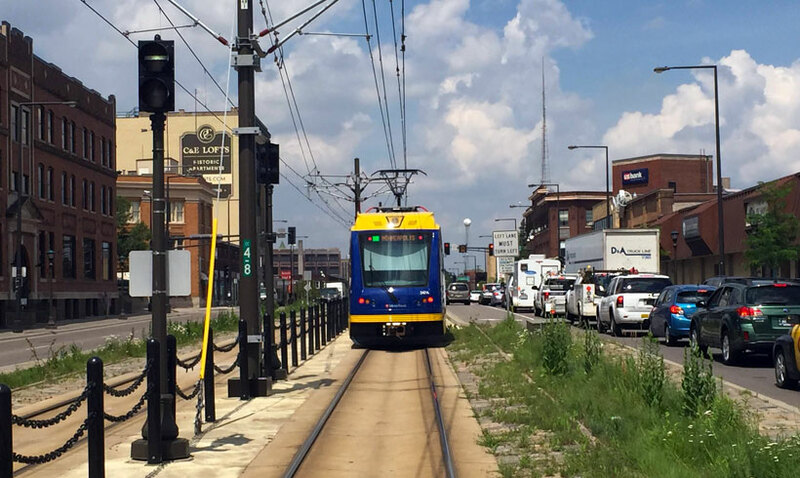 Proposed projects must take place in and benefit at least one of six Saint Paul neighborhoods along the Green Line: Downtown Saint Paul/Lowertown, Frogtown/Thomas-Dale, Hamline Midway, St. Anthony Park, Summit-University, or Union Park. Knight Foundation is looking for ideas from civic innovators of all kinds: individuals, nonprofits, businesses, and government entities. Dream away! Then visit www.knightgreenlinechallenge.org to learn more and submit your best idea. Applications will be accepted through 12:00 p.m. Central Time on July 10, 2015. Note: The Challenge is sponsored by Knight Foundation and managed by The Saint Paul Foundation.